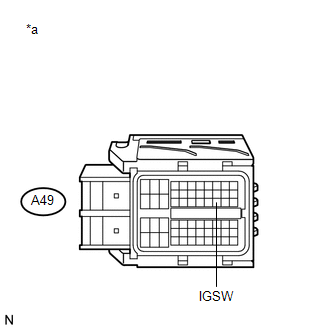 When the ignition switch is turned to ON, the battery voltage is applied to IGSW of the ECM. 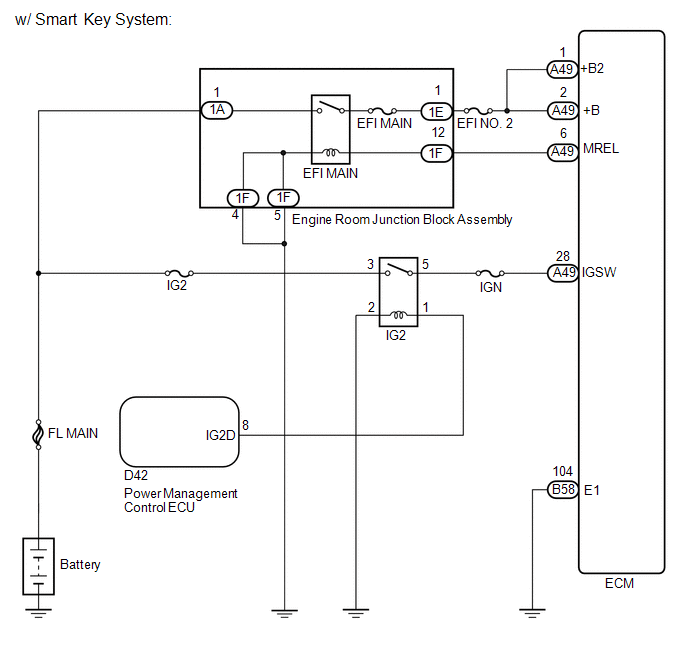 The output signal from the MREL terminal of the ECM causes a current to flow to the coil, closing the contact of the engine room junction block assembly (EFI MAIN relay) and supplying power to terminals +B and +B2 of the ECM. (a) Inspect the engine room junction block assembly (EFI MAIN relay) (See page ). (a) Remove the engine room junction block assembly from the engine room relay block. (b) Disconnect the engine room junction block assembly connector. (a) Inspect the IG2 relay (See page ). 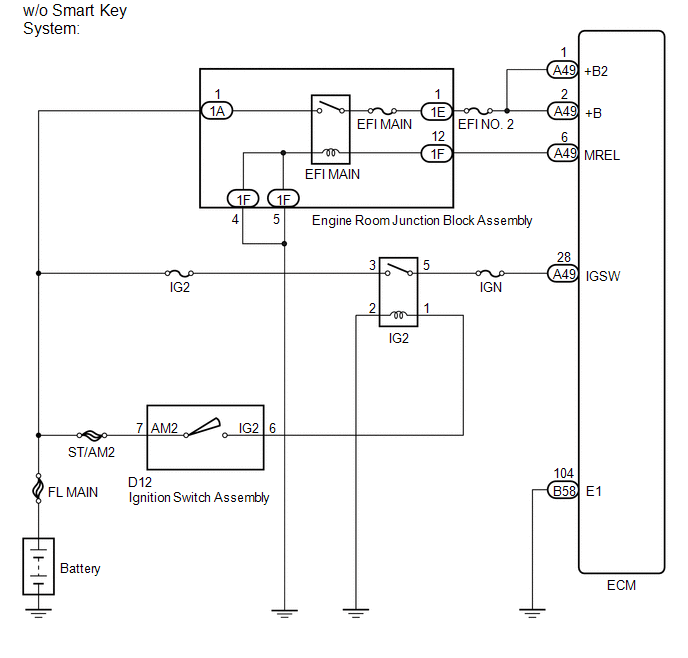 (a) Remove the IG2 relay from the engine room relay block. (b) Disconnect the ignition switch assembly connector.